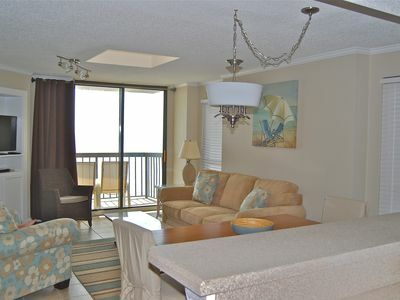 Relax in comfort with a spacious 2 Bedroom, 2 Bath condo, beautifully decorated, leather sofa and chairs! Good news - the elevator replacement process will begin in August of 2017. Computerized, high speed elevators will make getting to your floor much quicker. The parking deck received a thorough update in 2016 with brighter lighting, repairs to structure, and paint. The Palace just finished upgrading speed and bandwidth on its wifi as well. 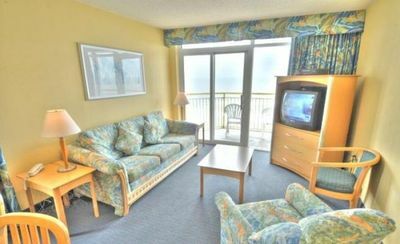 Angled Oceanfront room, sleeps 6. 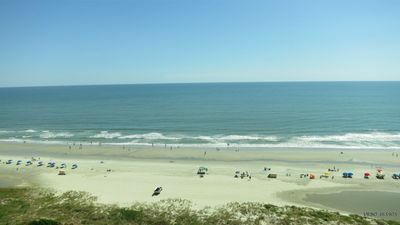 Resort building is oceanfront. 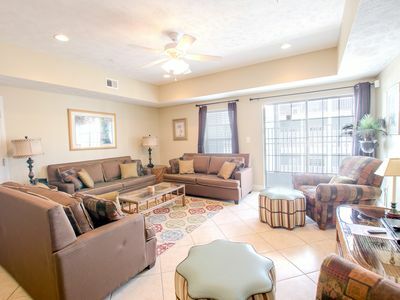 LCD TV's in each room, remodeled kitchen with cherry cabinets and granite countertops, stainless steel appliances, tile flooring, leather sofa and recliners, queen bed in Master, two twins in 2d BR, 2 full baths, sofa bed in Living room. 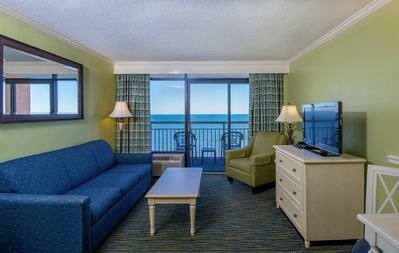 Our condo sleeps 4-6 (950 sq ft) at The Palace Resort in Myrtle Beach. Sit on the balcony and enjoy the morning or evening views from balcony which is accessible from both the master bedroom & the living room. 2nd balcony with street view. 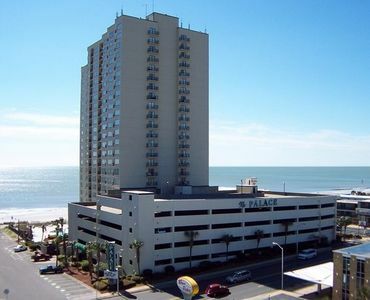 The Palace resort is oceanfront on the famous Grand Strand beach. 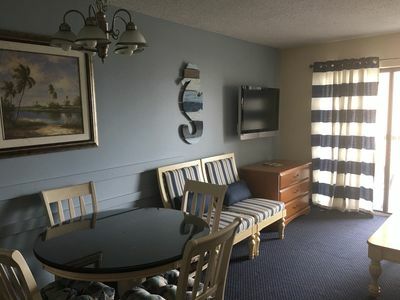 A friendly family resort with two pools, indoor/outdoor hot tubs, exercise room, sauna, steam room, sun deck, restaurant/bar and kids game room. Coin operated laundry & vending machines available. FREE WIFI throughout the building. 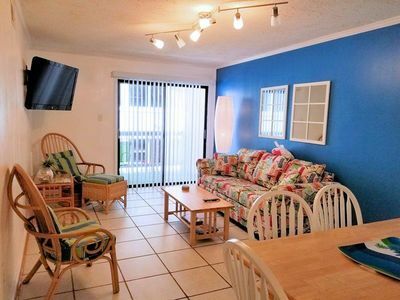 Full kitchen with all the tools you need, blender, toaster, oven, dishwasher, double stainless steel sink, bed linens, a hair dryer in each bathroom, towels, 3 flat screen TVs, DVD & stereo system, books and movies. Tile floors throughout kitchen, living room and bathrooms. 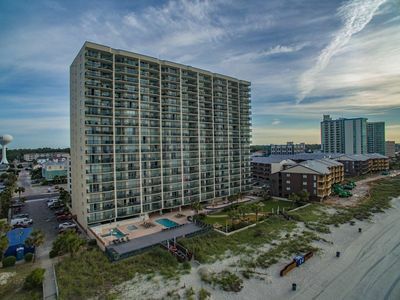 The Palace is just 3 miles from the Myrtle Beach International Airport and yet is still close to hundreds of restaurants, bars, golf courses, and shopping. **On-site permit parking in the covered garage. 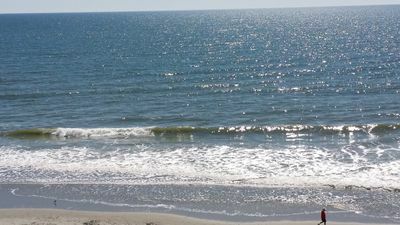 Shopping in Myrtle Beach: Two Tanger outlets with Liz Claiborne, Vanity Fair, Easy Spirit, Skechers, Cosmetics, Izod, Dress Barn, Old Navy, and more. Indoor and outdoor flea markets for bargains! 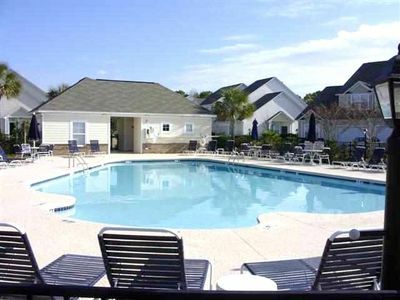 Barefoot Landing has fabulous shopping in a relaxing atmosphere that will bring you back, not to mention dining from elegant to casual, more than a dozen restaurants available for your dining pleasure. Other attractions include 7D cinema! 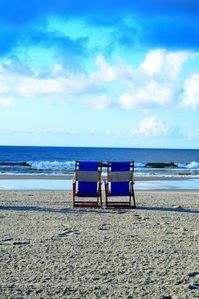 Golf: Tee off on North, South or Central Myrtle Beach golf courses, each designed to protect the natural habitat and wildlife indigenous to the area. Technically challenging and aesthetically beautiful, greens have been created by world-famous architects -- including Arnold Palmer, Jack Nicklaus, Robert Trent Jones, and Greg Norman. 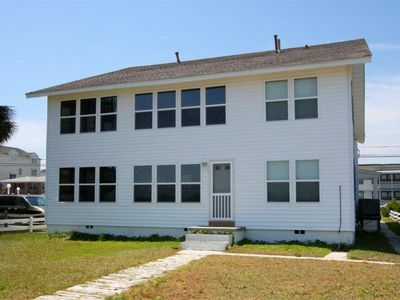 CLEAN and WELL KEPT** 2BR in desirable Barefoot**Nicely Decorated! Call today! 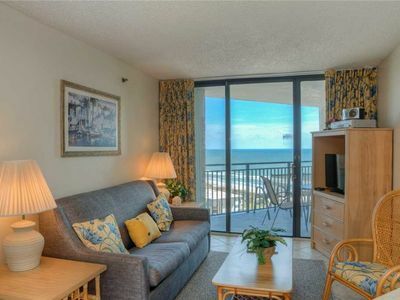 Quaint Ocean View Condo! 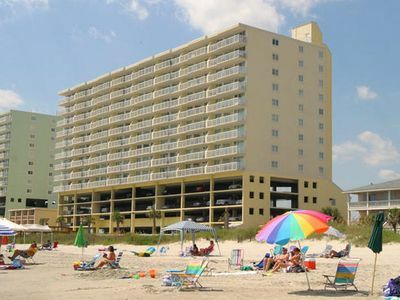 Beach Front Building! 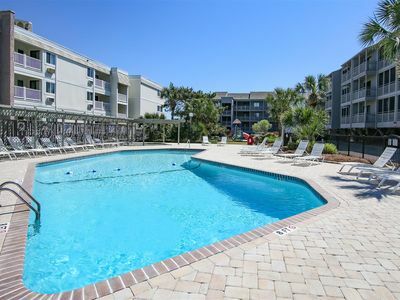 Indoor/Outdoor Pool! 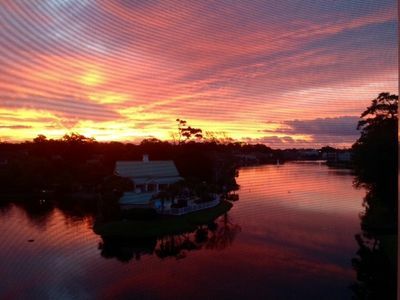 Beautiful Oceanfront Margate Tower condo in Kingston Plantation awaits you! 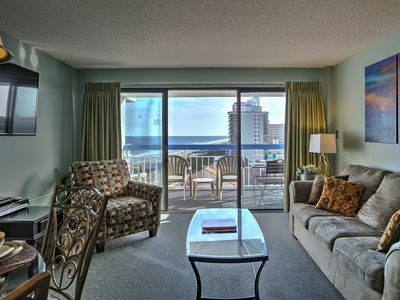 Make Memories at Our Condo! !